This is a report of an accident I had in October 1996 in Berlin, and the legal procedures that followed. It may be specific to German law, but I expect that it will be applicable elsewhere too. It had never happened to me before, but on October 5 1996 I got buzzed by a car. Normally cars leave sufficient space when passing, and the first one did that after the light turned green, but the second passed me at an extremely close distance, got in front of me, and braked with squealing tires. All for no apparent reason, no other car was in sight. I was riding at the speed limit (30 km/h, it was a small residential street), about one meter from parked cars. A car can stop faster than a bicycle because it can safely skid all four wheels, and at a distance of about 30cm there was no chance of stopping in time. I locked the front wheel and flew over the trunk of the car, hitting the edge with both knees and the top rear window edge with my helmet. The driver got out, threatened to sue me, and got the police. Rule 1: wear a helmet. In this situation always call the police. It's free and you can't know the damage to you, the car, and your bicycle, and later claims are messy if there is no police report. You'll have to deal with insurances (mandatory for car drivers in Germany), and insurances are in the business of not paying if it can be avoided. Anyway, the police came, collected IDs and reports from everybody involved, including two witnesses (I was lucky here, they saw the car passing and heard the wheels squeal). While waiting for the police, I was asking the witnesses to stay; they were in a hurry but felt it was their responsibility to stay. The police later wrote a favourable report based on the witness reports. Rule 2: always call the police. Also, make sure that you get the reference code from the police, information about your opponent's insurance, and the names and addresses of your opponent and the witnesses. After the formalities were completed, one of the policemen recommended that I go to a hospital immediately. I felt fine, except for pain in my knees and a mysterious inability to ride home. So I walked all the way to the hospital, where they told me that my kneecap was broken into three pieces and I'd have to stay. I guess I was under shock since the accident: everything seems ok but that is just because your brain is censoring all serious damage. After an accident you are not able to judge the severity of your injuries. Rule 3: see a doctor. In the hospital, the first thing I did was take a piece of paper and wrote down exactly what happened. I figured that the legal procedure may take months (it did) and I'd have forgotten all the details by then. The witnesses, in fact, were later unable to elaborate on their initial reports. Rule 4: write down what happened. Well, they cut the knee open, put some screws in, kept me for a few more days, gave me crutches and I was back to work. Bicycle riding was out for several months. They'll want to remove the screws after nine to twelve months; I'll have that done when the summer is over. Anyway, I requested and got a detailed report from the doctors about what was wrong and what they did to fix it. They also said that permanent damage cannot be ruled out, which I thought was important to have in the report. You'll have to deal with two insurances. Your own health insurance will send a form asking whether the surgery was the result of an accident, and if so, the name of the driver's insurance. My health insurance was obviously getting ready to reclaim the cost. The more difficult part was dealing with the driver's liability insurance. I figured I'd have no chance without a lawyer. (If you need one in Berlin, try Axel Bosselmann, tel. 8811070.) The lawyer first requested the police report from the police, contacted the witnesses to get more information (without success), and announced claims towards the driver's insurance. He also asked for the doctor's reports, copies of all documents exchanged, and receipts for taxicab rides and other expenses. It took him months to get the insurance to approve the claim. Rule 5: get help from a lawyer. Well, I am not sure what I would have done if the situation had been less obvious because I won't be able to reclaim the lawyer's fees from anybody. Still, the money I got so far made the rather low lawyer's fees an excellent investment. I didn't get the bill yet but I was told to expect between DM 250 and 400 (US$ 140..230). Lawyers' fees are regulated in Germany, and working on a contingency basis is not allowed. Eight months later, the insurance (Allianz, btw) paid DM 6000 (3000 Euro, US$ 3750) as an advance on damages (for my injuries, inexplicably there was no significant damage to the bicycle). 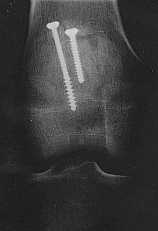 I did not agree to settling the claims until at least the second surgery. I was told that sometimes injuries cause problems many years later, and I should not finally settle my claim. The form the police sent me to report my view of the events contained a note that said ``check here to start a criminal investigation''. Since I could never accept the fact that we kill nearly 10,000 people a year in traffic and injure more than half a million (nearly all of them by cars), I figured I'd do something about an obvious threat to public safety and checked the box. At the end of May, eight months after the accident, I got the summons for July 8, to appear at the trial as a witness against the driver of the car. That was today. After waiting for about an hour (I am glad I brought a ;login: magazine) the trial started. At first, the driver was alone with the judge, the state attorney, and a scribe; later I and the other witnesses (including one of the policemen) were called in and were told that the driver had admitted to the facts stated in the police report and we weren't needed and were free to leave. Of course I stayed until the verdict. A criminal trial means that it is handled by the state attorney, not by me. I was a witness like the others and didn't need to bring my lawyer or submit any documents. Also, not only did I not have to pay for anything, but I would have been reimbursed for travel and other expenses (I didn't bother). The driver was found guilty of physical injury resulting from negligence (fahrl�ssige K�rperverletzung). He was sentenced to a penalty of 20 days' salary, and the cost of the trial. (If he had won the state would have paid for the trial.) Also, I expect that the cost of his liability insurance went way up; car liability insurances are pretty good about reclaiming costs with raised premiums. Premiums vary by factors of five or more based on accident history. In addition to all that he probably had to pay civil penalties. According to StVZO �15b, he may also have earned six points in the Flensburg database. When reaching 14 points a driver may lose his license, with 18 he will lose his license. All in all, this worked out very well. I am still stuck with a knee that is not fully functional (still can't climb as I used to), but it was made extremely clear to my opponent that his behavior was not acceptable. With a bit of luck he won't be able to afford a car now, which means he won't be able to again contribute to those accident statistics.